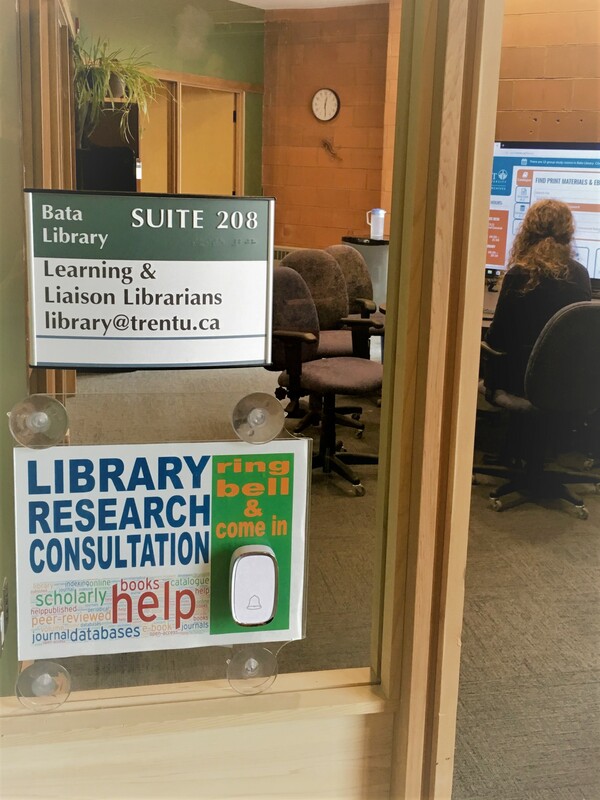 Located in Library Research Consultation (BL 208), behind the living green wall of Bata Library. General instructional services from the Library. Requests for instruction / assistance in MaDGIC or Archives should go directly to those departments. Information on the types of instructional services offered is available on our Library Skills Instruction page. Library acquisitions queries, including purchases from departmental allocations. Donations (gifts) to the Library. Contact your Liaison Librarian directly using the chart below, or contact the Library Service Desk at library@trentu.ca. The "Librarian-on-Duty" can also be reached at 705-748-1011 ext. 7420 during standard business hours (Monday - Friday 9am-4pm). If you have any general questions, please contact library@trentu.ca.